Huge horns. Scary table manners. The Beast is (ulp) quite frightening. Should Beauty scream and run away – or should she try to be nice? Beauty is leaving home, and it’s going to take a double dollop of bravery. First, she has to say goodbye to her darling Popsey and beloved sisters. 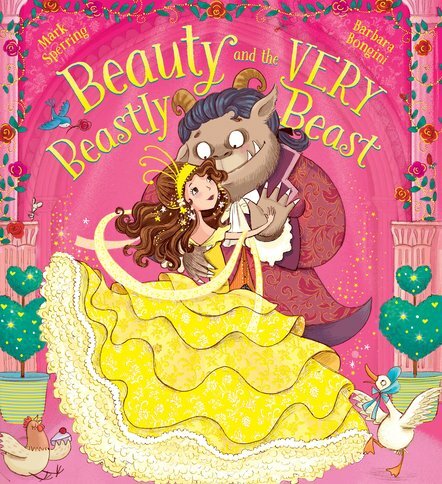 Second, she has to live with the dreaded Beast! He’s a frightening, furry sight. His table manners make her shudder. But is he really so very beastly? Or is her perfect prince hiding inside?